As a contributing editor at Film Threat and a contributing writer to The New York Times, Wired Magazine, The New York Daily News, and American Movie Classics Magazine, Phil Hall's knowledge on the subject of cinema is so vast that you wouldn't have guessed there would have been too much left in the film world he had yet to explore. 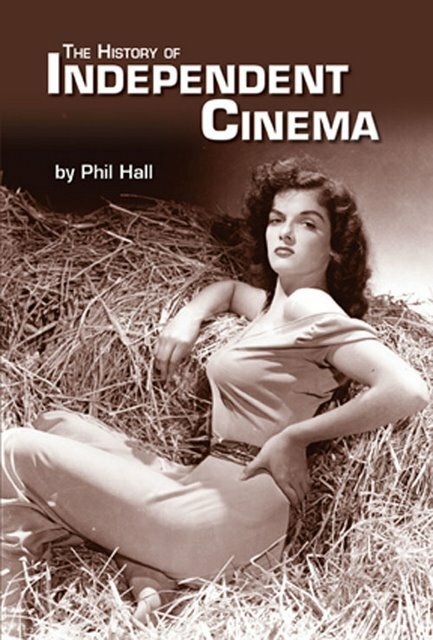 Yet when you read the work of Phil Hall, you uncover his unique brand of both literary and cinematic criticism and journalism as well as his singular ability to marry the two together. And when this "a ha" moment happens-- similar to when the hero catches up to a MacGuffin in a Hitchcock film-- you realize that Hall isn't exactly the type of scribe who would have ever been content to release something that could be considered Fast-Food Criticism or McHistory. Simply put, you know he's taking you on a journey with him to explore a topic that fascinates him as well. 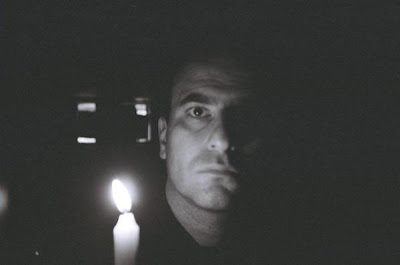 Generous to share his work with others which is not something for which the world of dog-eat-dog criticism is known, Hall's book that's accessible to all knowledge levels turns the keyboard over to two other talented wordsmiths following his author's note. And after a wonderfully thought-provoking foreword by Mike Watt that hits critics right where we live by noting that in the digital age where anyone can go out and shoot a flick, when a wounded director challenges, "Oh yeah? Where's your movie?" Watt very correctly points out that we better have an answer (x). Opening her segment with a delightful quotation from Jane Austen as a nicely unexpected deviation from the world of cinema which is just one of several literary quotations used throughout, Leslie Dallas has the daunting task of trying to describe just what it is that qualifies something as an independent film in this day and age. Yet, although most likely due to his background with print and online journalism, Hall breaks up his historical text with Top 10 Lists contributed by others celebrating their own selections of "The 10 Most Important Independent Films of All Time" that again hearkens to his collaborative nature, it's the text itself that mostly captivates. Despite this I must grant that film studies majors and movie buffs who absorb the history of the medium with the same fervor shared by those who worship the highs and lows of their favorite sport may find some portions of the book less illuminating than others who are new to the topic. Nonetheless, I was blown away by Hall's journalistic ability to avoid phoning it in by utilizing the oft-repeated facts of 99% of film texts to uncover some truly unique findings in the process which makes his History stand out on the shelf. And sure enough Hall's research leads him into some completely surprising terrain of discovering that Wizard of Oz creator Frank L. Baum was the first independent filmmaker in history to try and actively "build a franchise" from nothing the way that blockbuster studio ventures take for granted now, complete with tie-in merchandising and commercial product placement deals. Additionally, he cites Frank Capra's It's a Wonderful Life as an independent film and notes much to surprise of the legions of visitors to Disneyland and lovers of all thing House of Mouse that Walt Disney struggled for decades an indie filmmaker. And throughout the succinct but informative three hundred page paperback work from BearManor Media, Hall is acerbic with his wit yet able to relay the most complicated of Hollywood brouhahas concerning red tape and legal shenanigans in ways that instantly make sense to readers embracing the subject matter for the first time. Along the way he frequently includes fascinating mini-portraiture of indie luminaries. In doing so, he discusses the work habits and difficulties facing the pioneers of United Artists up through the era of Orson Welles and John Cassavetes as well as the more experimental terrain of Maya Deren and Andy Warhol all the way through the most recent evolution of independent filmmaker from the Martin Scorseses of the past to Jim Jarmusch, Steven Soderbergh, Quentin Tarantino and others. Taking into consideration the social implications and the way that self-financing and making one's own films helped level the playing field to give everyone a voice to try and fight censorship restrictions, represent their ethnicity, native language, gender, sexual orientation, and more, Hall addresses a Mario Van Peebles title being rated X "By An-All White Jury" and other taboo films that are now considered indie classics. However, as a bookworm I longed for an index as well as a bibliography or list of suggestions for further reading. Likewise, aside from some of Hall's in text references, some of the facts in the book were so intriguing that I wanted to learn more about their origins and was surprised there weren't any footnotes or citations which I felt may have strengthened some of the points even more. Still overall, I'm utterly in awe of the amount and quality of work he managed to accomplish in such a worthwhile text that I'd highly recommend regardless of your familiarity with the subject matter. In fact it was a topic I was greatly interested in on a personal note as incidentally it was the exact same one I was going to pursue in thesis form until I kept having to whittle it down at the request of my university advisers who correctly argued that for my purposes it was much too broad. Still, I kept all of my work, mind-maps, and questions and was thrilled by Hall's result. Moreover, I was consistently amazed by how many overlapping names and titles were included from my notes of five years ago since Hall-- having the freedom, expertise, and ability to open those doors-- dared to actually go down all those roads to learn more about the issues I only dreamed about to share them for the benefits of the reader. While out of necessity-- since the topic is so enormous that the book may have turned into an encyclopedia printed on biblical paper-- Hall's description of major figures does begin feel a bit overly succinct as we get closer to the conclusion and not too much time is spent on specific individuals unlike the subjects given painstaking research from the beginning of his book. 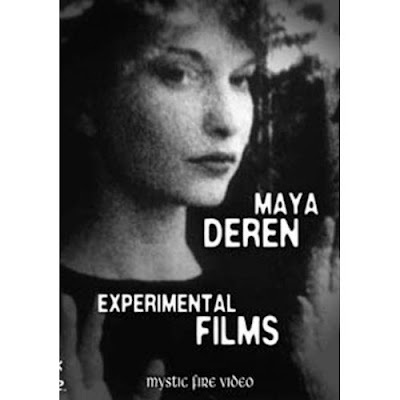 Still for those curious to learn more, there are many readily available titles you can find to pursue some in greater depth and likewise, there's no better source than using Phil Hall's book as a guide to track down their films as well as the influences he acknowledges when he discusses "the children of Maya Deren" for example or filmmakers who came after others and were thereby inspired. Immensely well-written by a journalist who knows the industry so well that he's worked every angle of it from distribution to journalism to criticism to film festival organization, Hall is an ideal guide for the subject. And when he was asked to comment on the switch from critic to author (as The History of Independent Cinema is actually his third book so far), he humbly noted in a recent NPR Interview that he figured he might as well become a historian as though it were just the next logical step since he'd done everything else. While he's definitely right in theory about that since the man has accumulated so much knowledge, it's wonderful to not just share-- but go the extra mile to dig deeper to learn more and use the benefits he has as a respected member of the press to include those findings with us-- I for one feel that "historical author" is a role he should definitely continue. 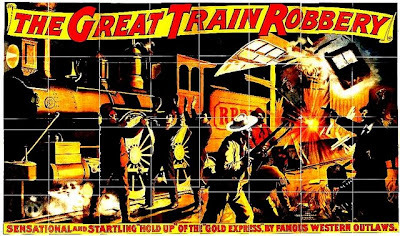 1) What were some of the first independent movies that you recall—not just making an impression on you as a film fan—but that you specifically recognized were from a source working outside the studio system? 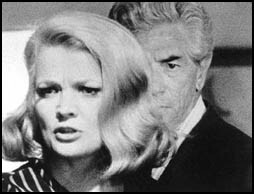 The first time I can recall seeing a film that was specifically identified as an independent production was in 1974, when the local PBS station in New York (where I grew up) broadcast “A Time Out of War.” That won the 1954 Oscar for Best Short Subject and the broadcast noted that it was as a student film. Even though I was only 10 years old at the time, I thought it was amazing that a bunch of students could make a film that won the Oscar. 2) Although now so many lines are blurred between the indies and studio financed films—who are some of your favorite independent directors making movies today? Or if it’s easier—who were the directors before they hopped aboard the Hollywood express? My favorite directors would include Antero Alli, Andrew Repasky McElhinney, Josh Koury, Bill Plympton, Michael Mongillo and Jimmy Traynor. 3) Obviously with all of your experience as a critic, author, festival organizer, and film distributor—there was a lot about this subject that you knew going into the project. What were some of the biggest surprises or discoveries you made while researching the book? Prior to doing the research for this book, I was unaware that experiments in three-dimensional films go back to 1915. I also didn’t realize the depth and scope of the corporate sponsored film sector, or that some of the films that were made by corporations and nonprofits went on to win Academy Awards. I also learned to appreciate the career of Walter Wanger [Stagecoach], who was a major independent producer in the 1930s and 1940s but who is barely recalled today by the general public. 4) I really appreciated the way that the Top 10 lists were used to break up the text and offer various points-of-view. How did you choose your contributors and did you provide them with specific criteria in case you received a list that included faux indies such as My Big Fat Greek Wedding, Pulp Fiction, or Sideways? I chose the contributors based on the hunch that they would produce eclectic lists that would generate thought and, possibly, debate. I didn’t provide any specific criteria, though I believe in one case I asked for a substitution because a studio film was chosen. 5) Out of curiosity—what was your take on mumblecore? I caught onto the trend pretty much as it began to fade away and just as it began to evolve into a tighter narrative structure. But what do you believe the next emerging phase—for better or worse—will be for independent cinema? I believe that mumblecore is the laziest type of cinema to make and the most irritating to watch. Audiences are not embracing it, and I imagine that distributors will shy away from it unless there is a surprise breakout hit. As for the next phase, I have no clue. 6) I found the NPR interview fascinating especially because it dealt with two issues that I think could make or break the future of American cinema and especially independent filmmaking. And namely this was when you guys discussed the over-abundance of film festivals (how resources, audiences, etc. are spread too thin with dozens taking place in a year and may—as you noted—dilute the impact they mean to have on indies) as well as the idea of creating tax credits to encourage filmmakers to shoot their productions here in the United States. Can you elaborate on these issues and your own views and how you feel they could either potentially harm or hinder independent filmmaking? The glut of festivals has been a major problem for indie filmmakers, since the vast majority of these events are poorly promoted and offer nothing in the way of industry connections or artistic validation. Filmmakers need to focus on festivals that will bring them results – if no one is in the audience and no networking can arise from the festival screening, then time has been wasted. On tax credits, my opinion is that this is a terrible idea. When state governments are going broke, priorities have to be set – and encouraging film production, quite frankly, is not my idea of a priority in the ongoing recession. 7) Another interesting idea mentioned in the NPR interview was in reference to films like Sam Mendes’ Away We Go which has an independent film vibe but is definitely not independent. Additionally, it’s one you also noted that you felt-- to make it seem “indie” for audiences-- was a trick to cash in since it’s more Hollywood-light and missing the indie edge. Do you think viewers will be able to tell in the future what is a true indie and what’s a studio indie? Unless the true indies can get a proper release, viewers won’t have much of a choice. Theatrical distribution opportunities for indie films is becoming tighter, and even the straight-to-DVD indies have problems getting attention. 7a) And again, what do you think Hollywood is saying about their own industry when they have to mask their studio made product to try and get people into the door to appreciate a straightforward story? The studios will do anything to make money. Nothing from Hollywood surprises me. 8) In the introduction of the book, you mention that the topic is purely American financed and predominantly American based work and even make a comment that global films would be a different book altogether. (Actually, I’m guessing it’d take up several volumes including one for Latin America, the UK, Asia, Europe, etc.) Do you have any plans to continue on in this line of study in a global realm or any other future projects you’re considering? No, this was strictly an American focus. No other nation’s independent film sector has witnessed such a dramatic impact as the U.S. indie sector. 9) Okay, I won’t ask you for a Top 10 List but just for fun—can you give my readers a brief “must rent” list of some indies that you think they’d be surprised to discover are actually indies? 1. 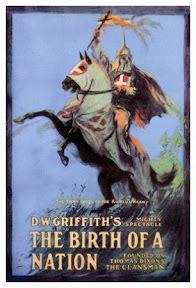 “The Birth of a Nation” (1915) – The first indie film to have a major social impact. 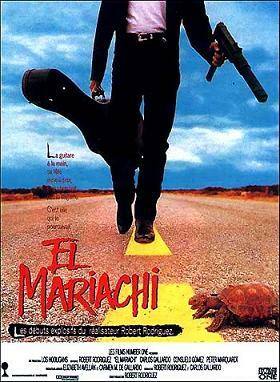 A morally reprehensible film, to be certain, but it needs to be seen. 2. “Snow White and the Seven Dwarfs” (1937) – Yes, Walt Disney was an independent filmmaker prior to the creation of his Buena Vista distribution subsidiary. 3. 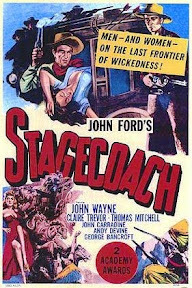 “Stagecoach” (1939) – An independent production, directed by John Ford and produced by Walter Wanger. 4. 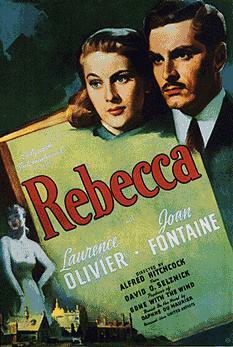 “Rebecca” (1940) – Directed by Hitchcock, produced by Selznick, and the first independently produced feature to win the Best Picture Oscar. 5. 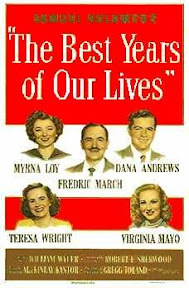 “The Best Years of Our Lives” (1946) – Independent producer Samuel Goldwyn’s greatest achievement, and a truly astonishing drama. 6. “Othello” (1952) – Orson Welles left Hollywood and raised money all over Europe to create this wild and brilliant interpretation of Shakespeare’s tragedy. 7. 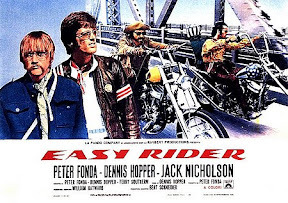 “Easy Rider” (1969) – Yes, this was an indie production. 8. “Fritz the Cat” (1971) – The first X-rated animated feature was also an indie offering. 9. “Give ‘Em Hell, Harry!” (1975) – Noteworthy as the first shot-on-video film to receive an Oscar nomination, for James Whitmore’s incredibly performance as Harry S. Truman. 10. “Stop Making Sense” (1984) – Arguably the best concert film of all time, and my choice as Jonathan Demme’s finest work.